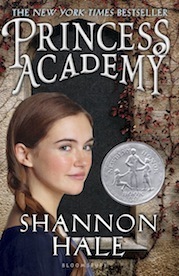 “Princess Academy” by Shannon Hale is a Newbery Honor book that, despite its title, teaches its readers about far more important things than pink gowns, tiaras, and how to sweep a fine curtsey. The novel’s main character is a young girl named Miri, who learns that she and the other girls from her community on Mount Eskel will be considered for marriage by the prince of Danland. However, first they must go through rigorous training in education and etiquette from strict Mistress Olana at the Princess Academy. The highlight of the novel is Hale’s main character, Miri, a strong girl with a formidable sense of justice that can often get her into trouble. As she stands up for weaker girls at the Academy, Miri gains both friends and enemies, all at the expense of doing what she feels is right. Readers will empathize with Miri’s ethical dilemmas and cheer for her victories in the face of adversity. In addition to this, Miri’s struggles within the competition will fascinate: should she strive to win for the honor that a royal title will bestow upon her and her family? Or should she return to the quarrying town where she was raised and use the knowledge she has gleaned from the academy to improve economic and social matters? The premise will interest readers, but the strong plot and lovable characters will keep readers moving. This is one of my absolute FAVORITE novels! Shannon Hale's writing just sings, doesn't it? Great review of a favorite. I found this (after having read and enjoyed Austenland) and gobbled up the rest of her YA stuff.